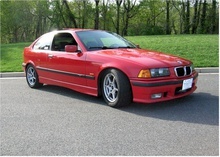 Forums » Grassroots Motorsports » Tire clearance. How much clearance is needed between the tire and the upright? 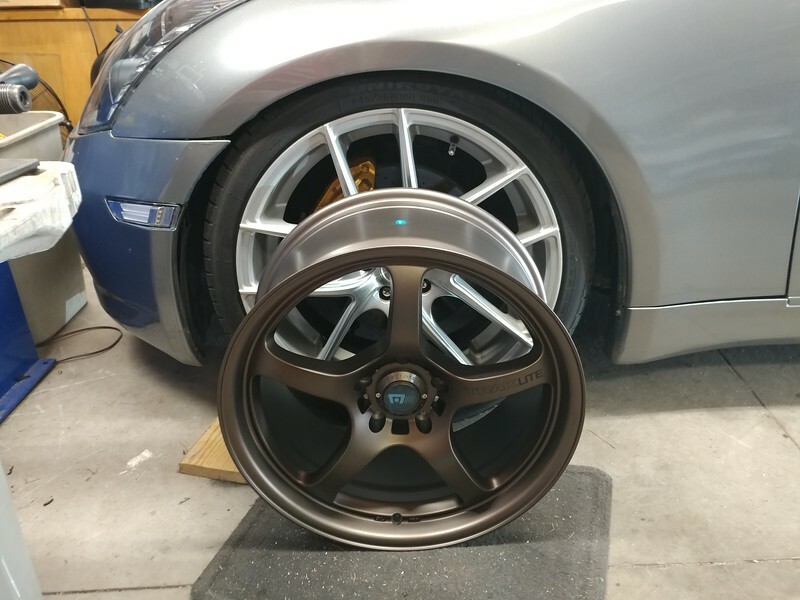 The new wheels came in for the G35 and they might be a little bigger than I thought. I only have about 3/8" clearance between the wheel and the upright. The tire may be a little closer once I get them in. How tight can it be. Next question. How close can it be to the calipers. Looks like it will be about 1/8" These are not sliding calipers so that clearance shouldn't change other than whatever flex is in the assembly. I'd say your fine. We run that much space on our champcar. Never had a problem. I agree that it'll probably be fine. Do you have enough stud to throw on 1/4 inch spacers? The wheel clearance will work but the tires might want a little breathing room. I ordered two sets of 5mm spacers just in case. 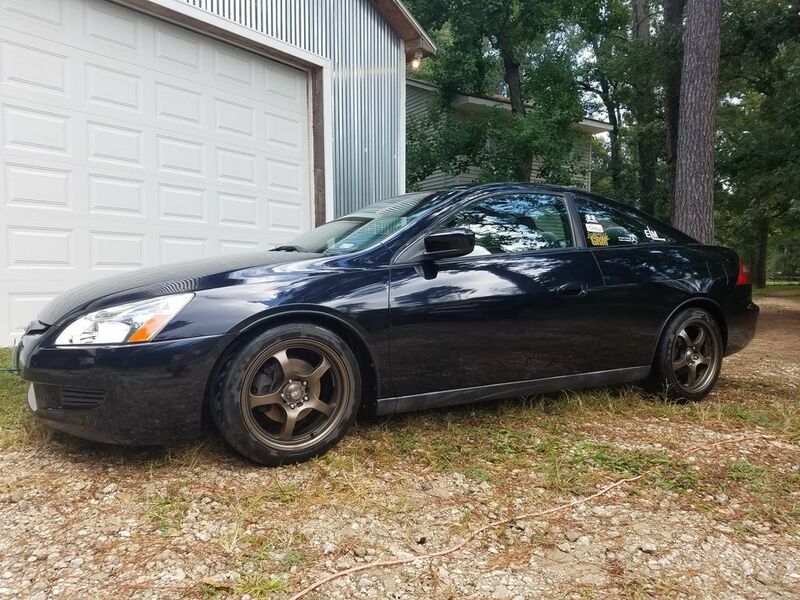 What you just described is pretty much every TR8 that has upsized to 15X7 wheels and big brakes. Yeah, I've seen less clearance on other cars without an issue. Unless you run tall tires and pull a ton of Gs you should be fine. And excellent wheel choice too. Cool. 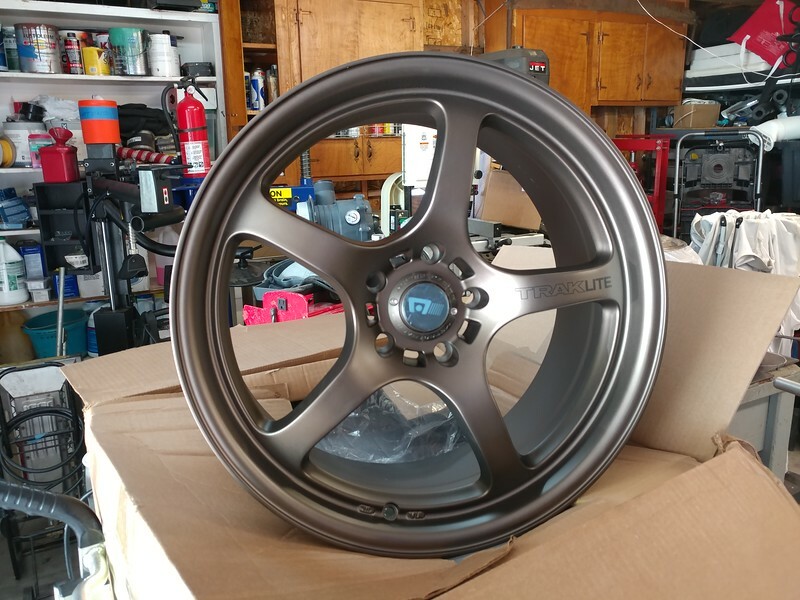 The bronze wasn't my first choice in color, but that was all they had in a 9" wheel. Now that they are here, I'm really liking them. Same reason I have bronze, but like you, I kinda dig them. For a strut car, a credit card width is fine. This. For brake to wheel clearance, you only need to account for flex and thermal expansion, which is approximately nothing. Depends on how hard you drive. I had some tires on my TVR race car once with 1/2"clearance between tire and rear upright. Ripped the sidewall out in the first hard lap - they sometimes flex more than you expect. And I was running higher than street pressures, too.